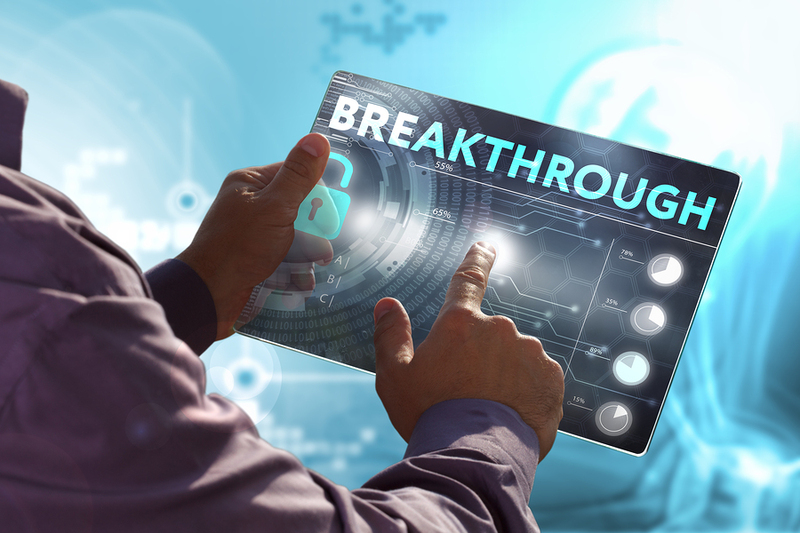 Are You Looking to Take a Giant Leap Forward in Your Value Analysis Processes, Systems, Training, and Outcomes, and SAVE Big? 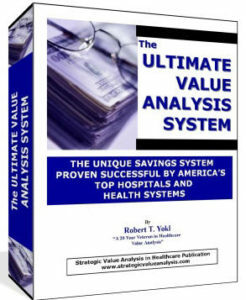 The main purpose of the Ultimate Value Analysis System is to give you the entire picture (from A to Z) of the MOST SUCCESSFUL strategies, tools, and methods to employ in order to successfully navigate the challenging world of healthcare supply chain savings and quality improvement. This go-to system is packed full of reference guides, videos, audios, checklists, software, training programs, and much more for you, your staff, and your teams. 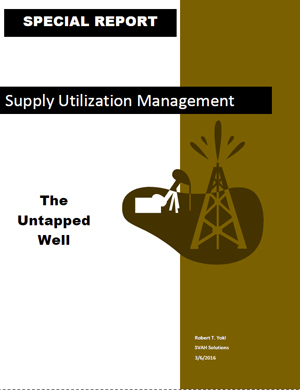 Most training programs, seminars, and educational offerings can only touch the surface of the real challenges supply chain and value analysis professionals face today in working with value analysis teams and projects. With the Ultimate Value Analysis System you can overcome the challenges that have been holding back your value analysis program so that you can achieve bigger savings and quality improvements in less time with less effort. “In the past year we have trained our staff and sales people on the use of the Strategic Value Analysis system. It has literally altered our approach to the hospitals. It was evident after using the system that some products just did not make economic sense for some hospitals. 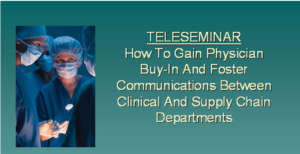 When you purchase this system, you will feel the power that comes from gaining 28 years of proven knowledge and trusted experience in healthcare value analysis. You’ll begin to see results as soon as you begin to employ the value analysis system in your day-to-day operations and with value analysis teams. The origin of this system goes way back to when I was a Director of Materials Management where I started studying the classic tenets of value analysis and value engineering and in turn deployed my own successful value analysis system for my hospital. I then became a consultant and started my own business all while further developing and tailoring what I call the Ultimate Value Analysis System. This is an evolution of work that has been perfected to take the best practices over a 28-year span right up to the complexities and challenges that hospitals, IDNs, and systems face with their value analysis programs today! Proven Track Record – Proven Results – In Use Today! More importantly, this system comes with a proven track record leading right up to the present (our clients use this same system today) and has helped our client hospitals achieve their savings/quality goals and even win numerous GPO National Achievement awards. Here is a secret to achieving big savings: You must have a comprehensive and proven system that entails every analytical aspect of value analysis from organization, teams, project level details, fueling the savings fires, and so much more! You must get it right the first time or you will lose all credibility and trust in your efforts and programs! Most hospitals are able to form teams and create policies, but lose focus when getting down to analyzing the multitude of products, services, and technologies. Let’s face it, it is human nature to “wing-it” and the project level detail is where most value analysis practitioners have the most difficulty because they don’t have logical steps to follow. 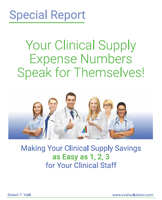 Hospitals Purchase Over 15,000 Different Products, Services, and Technologies, Which Means You Need A Rock Solid System That You Can Employ On Every One of Those Products, Services, and Technologies If Need Be! What makes this system so effective? The ultimate value analysis system is based on a functional approach to analyze products, services, and technologies. Every product, service, and technology has a function, and that is the basis for analysis that this system revolves around. There is no guess work! Hospitals cannot afford to let value analysis teams shoot from the hip any longer. Think about it; if you had a team of 10 value analysis practitioners and gave them all the same exact study to perform in any which way they felt it should go (winging it), what do you think the results would bring? More than likely, 10 different outcomes and 10 different methods to accomplish the study with most only achieving 40% to 50% of their desired results. How would your patients feel if they knew that someone was “winging it” when they analyzed the airway tube or IV catheter you were about to place in their bodies? The functional approach saves dollars and makes sense! Shouldn’t we be operating in a more evidence-based manner in which the function could be mapped to the desired outcomes instead of all the features and benefits we are being sold on? This system eliminates gaming the value analysis process! What do I mean by gaming? You know, the department head or manager that is either the “tough sell” or “great internal salesperson” who always seems to sway management or the team to their thinking and inevitably gets their way, even when this is not in the best interest of saving money or improving quality. Because we utilize the functional approach, the study model does not need to be “run” by the person who has direct oversight in the study area. Yet, it allows you to tap into that stakeholder’s power and experience without letting them compromise or tamper with your study. Summing it up! I have just touched on the overlying reasons why this system is so important to the future of your value analysis team and inevitably to your bottom line savings success and improving your career! This system is a life’s work for me that entails every successful value analysis strategy and best practice to give you a powerful system to reduce your costs to the lowest acceptable levels. 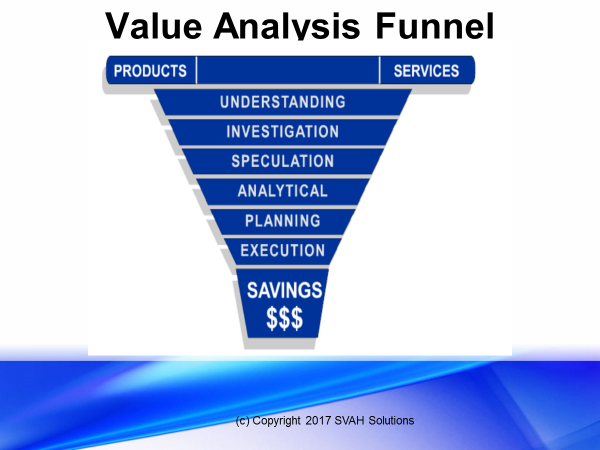 Strategic Value AnalysisTM is a powerful savings tool, but if it is not applied strategically or not being practiced at all, then value analysis practitioners will generate only meager savings. On the other hand, if the right people with the right tools, training, and a proven SVA process are deployed by a healthcare organization to look at the right things, then millions of dollars can be saved for your healthcare organization annually. It is the purpose of this book to share with you our advanced Strategic Value Analysis model to assist you in driving out all of the hidden costs in the products, services, technologies, and their value chains, which you are purchasing today. More importantly, for the first time you will be able to negotiate with your internal and external customers what they absolutely, positively require in the products, services, and technologies they desire and the processes that they manage and control. This system will help you gain their trust and position you as your organization’s expert/champion in strategic value analysis. 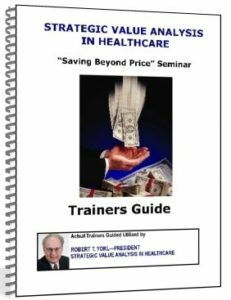 Personal Guarantee: This Is the Best Guide on Healthcare Value Analysis – or Your Money Back! These Are Only Individual Projects – Imagine the Potential Hospital-Wide! What Makes the Ultimate Value Analysis SystemTM So Unique? 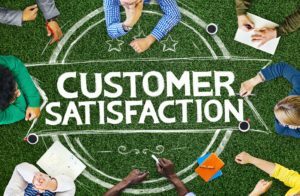 Better Decision Making – By using a value-based selection/evaluation system you can truly understand your customers’ requirements and make better decisions based on that knowledge. Identify Waste and Inefficient Methods and Practices – Sometimes it’s not the product that is the problem; it is how your organization is utilizing the product that is driving costs up. Have the Right Training and A Proven Process – Remove the “winging-it” aspect from your value analysis studies and replace it with a proven process that will gain results every time! Improved Quality of the Products, Services, and Technologies You Purchase – The Ultimate Value Analysis SystemTM teaches the classic tenets of value analysis which have been backed by gurus such as Deming and Juran. With this approach, quality is paramount and will be measured in your customers’ eyes. Standardized Process – With this standardized approach you will remove the price thinking in your organization and replace it with the value analysis approach. Move from Standardization to Customization – Now that you have standardized on products, services, and technologies, you can go to a new level of savings by going to the customization level. Team-Based Value Analysis Model TM – By following this new model for managing your meeting process you can increase the productivity and accountability of your value analysis studies. You will complete more studies in less time with greater ROI. Identify Feature-Rich Products, Services, and Technologies – Learn how to identify whether you are using all of the features in your products, services, and technologies, and how to identify alternatives to reduce costs and improve quality. 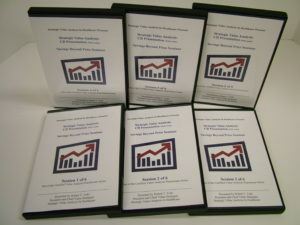 $3,315 in Program Deliverables for Only $584.99! SEE THE ADDED BONUSES BELOW! Ready To Purchase Your Ultimate Value Analysis System? 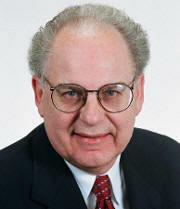 6-Hour Certified Value Analysis Practitioner Home Study Program! Note: Each examination is $75. Only one test allowed per purchased program. Call 1-800-220-4271 for group examination rates. Upon a test grade of 70% or higher, program participants will be mailed a wood grained plaque with their certificate enclosed within 2 weeks. Ready To Purchase Your Ultimate Value Analysis System Now?